SACKET, Mary M. 24, July 1870 C08-022 Aged 30 yrs. Wife of David Sacket. Day date could be 21. SACKETT, Bertha C. 1879 1950 D07-139 Double stone with Edward H. Sackett. SACKETT, Edward H. 1872 1941 D07-140 Double stone with Bertha C. Sackett. SAGE, Henrietta 23, May 1868 C02-032 Aged 85 yrs. "Wife of James Sage" Broken and leaning against a tree. SAGE, James 13, April 1863 C02-033 Aged 83 yrs. SALISBURY, Frank D. 1843 1925 C01-040 No other data. SALISBURY, Wallace 1843 1913 C08-072 Double stone with Minnie Salisbury. SAMMETT, Inge Pletsch 1903 1970 G01-19 Pletsch may be her maiden name. SANBORN, Celia Clark 7 Aug. 1886 E02-089 Aged 64 years, 8 mo's and 29 dys. Clark family monument with Rev. Rufus Clark. Clark is her married name. SANBORN, Reuben 14, Sept. 1848 E05-138 Age 44 yrs. Double stone with Harriet S. Sanborn Farnham. SANDERS, Anna Payne Mother 1872 1934 E06-138 Payne may be a maiden name. SANDERS, Burton 1882 1883 C04-058 Sanders Family monument with Ralph A., Eva C., and Burton on it. Also A. Sanders and Jennie G.
SANDERS, Burton C04-056 Single stone with just Burton on it, but in the Sanders lot. SANDERS, Eva C. 1866 1866 C04-058 Saunders family monument with Ralph A., Eva C. and Burton on it. A Sanders and Jennie G. also on it. SANDERS, Eva L. C04-055 Single stone with just Eva on it, but in the Sander's lot. SANDERS, "Father" Single stone with "FATHER" on it in Sanders lot. SANDERS, Jennie G. 1841 1889 C04-061 Family Monument with A. Sanders, "his wife". Mary E. Sanders, Ralph, Eva C. and Burton. Also a single stone with Mother on it. SANDERS, Mary E. 1875 1895 C04-061 Family monument with A. Sanders, Jennie G., wife of A. Sanders. Ralph, Eva C. and Burton. She also has a single stone See Death Register. Lists the following: Maybe Mamie b. 1875 d. Nov. 22, 1895. SANDERS, Ralph A. 1864 1865 C04-058 Sanders Family monument with Ralph A., Eva C., and Burton on it. Also A. Sanders and Jennie G.
SANDERS, Ralph A. C04-054 Single stone with just Ralph A. on it, but in the Sanders lot. SANFORD, Alvin T. 1828 1915 D04-110 Double stone with Mercy S. Sanford. SANFORD, Mercy S. 1844 1933 D04-111 Double stone with Alvin T. Sanford. SANFORD, S. M. S. C11-098 Single stone with just initials. No other data. SANFORD, Sarah M. 1809 1880 C11-096 North side family monument. Webster may be her maiden name because she is on the Webster stone. Sanford is her married name. SAWTELL, Esther Jacobs 1801 1885 C11-050 Wife of D. Jacobs. Monument on ground but readable. Dana and Esther are on the same side. Sawtell may be maiden name. SCHMIDT, Bertha C. 1860 19__ D07-136 Death date not completed. Rebekah flag holder and DAR flag holder and IOOF Conneaut Lodge. Dbl. stone with Frederick Schmidt. SCHMIDT, Frederick W. 1850 1927 D07-137 Dbl. stone with Bertha C. Schmidt. IOOF flag holder Conneaut Lodge 775. SCOTT, Mary A. Venen 28, April 1876 D-B-154 Age 37 yrs. Venen may be her maiden name. Wife of John A. Scott. SEARL, Charles 1855 1893 C02-085 Double stone with Elizabeth Searl. Stone in the form of a tall tree stump. SEARL, Elizabeth 1858 1928 C02-086 Double stone with Charles Searl. Stone in the form of a tall tree stump. SEARL, Fred H. 1888 1918 C02-084 Stone in the form of slabs of wood. SEARL, Guy C. 1885 1923 C02-083 Stone in the form of a log. SEARL, Lucy S. 1835 1909 C02-086 Monument broken and behind Charles and Elizabeth Searl's monument. SEARL, Mother C02-081 Single stone in the form of a log with just Mother & no dates on it. In the Searl lot. SESSIONS Family Monument B08-023 Large Family monument is on the ground and unable to read the side in the ground. To large to move. SESSIONS, Galusha H. B08-023 Two stones say Galusha Shepard but she's in the Sessions lot & on the stone with Henry C. Sessions. SESSIONS, Henry C. 1816 1903 B08-023 Sessions family monument with Henry C. Sessions and Galusha H. Shepard. Can't read one side of family monument on the ground. SHACKSON, Mary Perry 1861 1937 F06-17 Perry may be her maiden name. SHARKEY, Pat B05-034 Weathered badly. Illegible. No dates given. Co. F., 82nd Ohio Inf. Vet flag holder. There was an Patrick Sharkey in the Conneaut News Herald Nov. 20, 1912, p. 6, who was in the War of the Rebellion. SHARP, Anna 1891 G01-33 Double stone with Nathan Sharp. No death date given. SHARP, Nathan 13, July 1897 31, Aug. 1966 G01-032 Double stone with Anna Sharp. OHIO PVT 115 Sanitary train. Military foot marker. WWI. SHARPE, Elizabeth 1848 1929 D08-132 Four people on this stone, Elizabeth Sharpe, Herbert Ward, Nina Wilcox and Nicholas Bugbee. SHAW, Father B01-021 Single stone in the Shaw lot. No dates given, they are on the family monument. SHAW, Mary Beachdel "Mother" 31, Aug. 1804 1, Jan. 1884 B01-021 Beachdel may be her maiden name. "Wife of W. W. Shaw" Stone is broken and top is on the ground. SHAW, Mother B01-022 Single stone in the Shaw lot. Dates are on the family monument. SHAW, W?. W. "Father" 15, Nov. 1802 B02-021 Death date not given. Monument broken and top is on the ground. Father is on the single stone in the Shaw lot with no dates. SHEARS Family Monument C02-040 Family monument between rows 2 & 3. Could not find any other Shears monuments. SHEPARD, Galusha B08-022 Single stone with no dates but data on Sessions family monument. Main monument broken & on ground. Can't read one side. SHEPARD, Galusha 1850 1902 B08-023 Large family monument with Henry C. Sessions but can't read one side. She may have been a Sessions at one time. SHIELDS, Julia Kahler 1878 1968 D07-109 Kahler may be her maiden name. SHOUP, Charles E. 1856 1940 D09-124 No other data. SHOUP, Elizabeth 1860 1933 D09-124 No other data. SHREVE, John 1815 1890 E04-121 Double stone with Rachel, his daughter. SHREVE, Rachel 1842 1912 E04-122 Double stone with John Shreve, his daughter. SHULTZ. Ellen 1836 1893 C090-026 "Mother"
SCHULTZ, Francis 21, Sept. 18__?? C09-025 Son of S. & E. Shultz, Death date illegible. SHULTZ, Peter 1862 1911 C09-024 No other data. SCHULTZ, Samuel E. 1825 1899 C03-027 No other data There was an Samuel Shultz in the Conneaut News Herald Nov. 25, 1912, p. 18 and Nov. 21, 1912, p. 6, who was in the War of the Rebellion. SILVERTHORN, Caroline 1831 None Given C05-018 East side of stone, Mary R. Silverthron, wife of H. Jeffery. West side of stone, A. Sliverthorn & Caroline, his wife. SILVERTHORN, Estella M. 1882 1978 E01-117 Double stone with Sherman J. Silverstone. SILVERTHORN, George W. 1828 1920 C03-074 Double stone with Jane Harris Silberthorn. SILVERTHORN, Jane Harris 1832 1921 C03-073 Double stone with George W. Silverthorn. Harris may be her maiden name. SILVERTHORN, Mary R. Jeffery 1867 1889 C05-016 East side of stone, Mary R. Silverthorn, Wife of H. Jeffery. West side of stone, A. Silverthorn & Caroline, his wife. SILVERTHORN, Sherman J. 1877 1946 E01-118 Double stone with Estella M. Silverthorn. SIMMONS, Jessie 1873 1898 D07-100 "Gone but not forgotten"
SIMONS BENTON Family Monument E08-112 No data on this monument. Offset between Rows 8 & 9. SKINNER, Ellen Taber 1857 1937 D10-168 Double stone with S. Samuel Skinner. Taber may be her maiden name. SKINNER, Levia M. 1888 1909 E06-151 Dau. of Lizzie Weldon Bond and in the Harwood lot. SKINNER, Mary Elizabeth 1878 1961 D10-169 No other data. SKINNER, S. Samuel 1855 1940 D10-168 Double stone with Ellen Taber Skinner. SLAUGHTER, Ara Father 1875 1953 E03-118 Double stone with Nancy R. "Mother"
SLAUGHTER, Nancy R. Mother 1864 1962 E03-117 Double stone with Ara Slaughter "Father"
SLINGERLAND, Elizabeth F. 1880 1971 E06-074 Fenton may be her maiden name. SMALLEY, Thomas B05-030 Weathered badly, Civil War marker. Illegible. Vet. Flag holder. SMERKEL, Carl. E. 1900 1965 B09-031 Masonic emblem engraved on monument. SMERKEL, Emma T. 1905 19___ B09-030 Death date not complete. Eastern Star emblem on stone. SMITH Family Monument E04-086 Face down on the ground. Too heavy to move. SMITH KEYES Family Monument C03-026 Large family monument for Smith and Keyes family. No date. Offset between rows 3 & 4. SMITH, Abigail 6, Nov. 1821 D11-163 Aged 11 yrs. Daughter of Henry & Sarah Smith. SMITH, Alvin H. 1875 1951 B09-006 Double stone with Charlotte A. Smith. SMITH, Bertha M. 1878 1942 C04-024 Double stone with Neal W. Smith. SMITH, C. Warren 1850 1903 D04-142 Double stone with Eva Howard Smith. "Woodman of the World Monument"
SMITH, Catherine Crocker 1850 1949 E06-114 Crocker is her married name. SMITH, Catherine Keyes 1839 1918 C03-024 Keyes is her married name. SMITH, Charlotte A. 1875 1962 B09-005 Double stone with Alvin H. Smith. SMITH, Daphne Jones 1845 1930 E09-134 Jones may be a maiden name. SMITH, Daughter 9, Feb. 1887 10, Feb. 1887 E07-113 Baby daughter of H. L. & L. H. Smith. SMITH, DeForest 14, Aug. 1861 13, Nov. 1911 E14-160 Two stones with the same name and the same death date. The other is in row 13 grave 161. SMITH, Delilah Havens 1805 1880 C01-013 Havens is her married name. Family monument with Capt. J. W. & Maria S. Lynn; Rex Havens & his wife, Delilah Smith. SMITH, Earl C. 1892 1958 G01-54 Double stone with Eva M. Smith. SMITH, Edward E. 28, June 1851 D11-120 Aged 1 yr., 10 mo's. Son of E. P. & K. A. Smith. SMITH, Effie G. C. 1894 1981 D10-101 Her maiden name may have been Gilbert, 1st married Sith and name at death is Cappuccilli. SMITH, Eliza A. 1844 1867 D06-121 No surname but it looks like it's in the Smith lot. SMITH, Elizabeth Hale 1872 1963 C03-047 Double stone with Mae Harriet Smith. Hale may be a maiden name. SMITH, Eva D04-141 No dates and no surname but in the Smith lot. SMITH, Eva Howard 1858 1920 D04-142 Double stone with C. Warren Smith. Howard may be her maiden name. Woodman of the World monument. SMITH, Eva Jones 1854 1883 A01-007 Jones may be her maiden name. SMITH, Eva M. 1885 1958 G01-53 Double stone with Earl C. Smith. SMITH, H. L. 1860 1919 E06-109 No other data. SMITH, Ida O. 1865 1953 E06-108 No other data. SMITH, Irus 1795 1879 E06-107 Stone broken and we aren't sure of the 5 in the birth date, 1795? SMITH, J. 1821 1893 E06-160 Close to the Chesman lot. Offset between rows 6 & 7. SMITH, Jane 1809 1890 C04-095 No other data. SMITH, Josie 1867 1899 E03-090 Smith family monument with Justus, Josie, his wife; Shelby, Ruma, his wife. SMITH, Justus 1843 1913 E03-090 Smith family monument with Justus, Josie, his wife; Shelby, Ruma, his wife. SMITH, Kate D11-119 Single stone with just Kate on it and in the Smith Lot. SMITH, Kate Stevenson 1856 1891 D11-118 Smith may be her maiden name or 1st married name. On the Smith monument. Kate on the North side of stone. SMITH, Lettia Knight 28, May 1862 11, Feb. 1887 E07-111 Knight may be a maiden name. Wife of H. L. Smith. SMITH, Mae Harriet 1897 1911 C03-046 Double stone with Elizabeth Hale Smith. SMITH, Mother D11-116 Single stone with just Mother on it, but in the Smith lot. SMITH, Nancy 1828 1913 D11-121 Wife of Marquis Smith. SMITH, Nancy A. 31, Dec. 1811 18, April 1892 E04-099 Double stone with Norman Smith. SMITH, Neal W. 1877 1951 C04-025 Double stone with Bertha M. Smith. SMITH, Newton J., Capt. 1833 1863 C03-025 2nd Ohio Infantry. SMITH, Norman 4, March 1814 E04-100 Double stone with Nancy A. Smith. No death date given. SMITH, Plin W. 1847 1880 D06-122 No surname on it but looks like but close to the Smith lot. SMITH, Ruany 1816 1891 D11-117 Double stone with Kate Stevenson on the Smith stone. Ruany on the West side of the stone. SMITH, Ruma 4, March 1886 E03-090 Smith family monument with Justus, Josie, his wife; Shelby, Ruma, his wife. Aged 69 yrs. SMITH, Shelby 16, April 1883 E03-090 Smith family monument with Justus, Josie, his wife; Shelby, Ruma, his wife. Aged 69 yrs. SNOW, Harriet E. 15, Oct. 1850 C08-126 Aged 23 yrs. Wife of James E. Snow. SOPER, William L., Rev. 1877 1964 G02-065 Double stone with Gladys B. Soper. Married 1909. SPALDING, Elma J. 1857 1946 C03-071 "Wife of Marion." SPALDING, Lucinda Grant 1817 1878 D10-165 Grant is her married name. STAFFORD, Lydia A. Cleveland 15, July 1841 26, Oct. 1902 E06-124 Cleveland is her married name. Wife of Geo. H. Cleveland. STANTON, Lorenzo D. 12, July 1865? C06-029 Aged 48 yrs., 3 m., 2 d. Stone broken in 2 pieces. The 5 may not be correct for the death date. STANTON, William F. 2, Oct. 1861?? C06-028 Aged 27? yrs., 6 mo's, 6 dys. 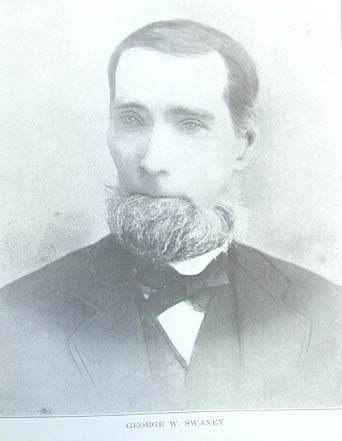 Son of L. D. & L. S. Stanton. Stone broken and top is on the ground. Difficult to read. STEARNS Family Monument D-B-153 No other data. STEARNS, Heman 1819 1877 D-B-153 No other data. STEARNS, Mabel W. 1822 1875 D-B-152 No other data. STEFFLER, Unknown D05-144 Twin daughter of P. M. & Ella Steffler. No dates given. STEPHENS, Isaac 13, April 1880 C09-114 Age 74 yrs. Double stone with Pheby. STEPHENS, Pheby 9, March 1879 C09-115 Age 70 yrs. Couble stone with Isaac. STERLING, Henry A. 1894 1964 B03-017 Double stone with Verdia M. Sterling. STERLING, Verdia M. 1896 1963 B03-016 Double stone with Henry A. Sterling. STEVENS, Louis F. 1892 1969 G02-73 Double stone with Pearl M. Stevens. STEVENS, Pearl M. 1890 1972 C02-72 Double stone with Louis F. Stevens. STEVENSON Family Monument D04-124 No data on this monument. Stone offset. STEVENSON, Kate Smith 1856 1891 D11-118 Stevenson is her married name on the Smith Monument. Kate is on the North side of the stone. STEVENSON, Robert Andrew 1870 1872 D04-122 No surname but in the Stevenson Lot. STEVENSON, Robert M. 1830 1910 D04-126 No other data. STODDARD, Anthony 1822 1883 D06-112 Double stone with Eunice H. Goodspeed Stoddard, "his wife"
STODDARD, Eunice H. G. 1824 D06-113 No death date given. Double stone with Anthony Stoddard. Her maiden name may be Goodspeed. Wife of Anthony Stoddard. STOKE, Almeda D. 1854 1914 C08-035 Triple stone with Almeda D., Frank P., and Harriet T. Stoke. STOKE, Clara C. 1887 1952 D09-122 No other data. STOKE, Frank P. 1853 1934 C08-036 Triple stone with Almeda D., Frank P., and Harriet T. Stoke. STOKE, Harriet T. 1864 1961 C08-037 Triple stone with Almeda D., Frank P., and Harriet T. Stoke. STONE, Addie O. 1858 1947 E08-156 Eastern Star Emblem engraved on the stone. STONE, Don Olmsted 1886 1972 E09-155 Double stone with Jessie Porter Stone. STONE, Frank 7, Dec. 1909 E09-151 Frank Edward Stone, eldest son of Laurel V. & Addie O. Stone. Lost his life on Lake Erie. AE 25 yrs. 2nd Mate of M & B. No. 2. STONE, Jessie Porter 1884 1973 E09-154 Double stone with Don Olmsted Stone. Porter may be a maiden name. STONE, John O. 1912 1914 E09-151 Double stone with Mary Louise Stone. Son of Don O. & Jessie Stone. STONE, Laurel V. 1855 1920 E08-155 Mason emblem engraved on stone. STONE, Mary Louise 1916 1917 E09-151 Dau. of Jessie Stone. Double stone with John O. Stone. STORY Family Monument E06-095 Family monument with William and Margret, wife of Wm. Story. Margret spelled that way on the stone. Offset between rows 6 & 7. STORY, Margaret E06-095 Single stone with just Margaret on it and no dates & in the Story lot. STORY, Margret 29, Dec. 1802 4, March 1888 E06-095 Story family monument with Wm. Story. Wife of William Story. Spelled this way on monument. Offset between rows 6 & 7. STORY, William 25, Dec. 1795 1, Jan. 1880 E06-095 Story Family monument with Margret, wife of Wm. Story. Margret spelled that way on the stone. Offset between rows 6 & 7. STORY, William E-6-096 Single stone with just William on it and no dates & in the Story lot. STOUT, Bertha O.. 1902 1978 D-A-163 Double stone with Durwood V. Stout. STOUT, Clara 1903 1905 D-A-160 13 months Old. STOUT, Hurley G. 1871 1950 D-A-162 Double stone with Lillian I. Stout. STOUT, Lillian I. 1875 1955 D-A-161 Double stone with Hurley G. Stout. STRANG, Lana 1884 1960 E10-166 Double stone with Robert B. Strang. STRANG, Robert B. 1878 1971 E10-167 Double stone with Lana Strang. STRANGEWAY, Henriettah 1863 1939 D-C-167 Double stone with Thomas W. Strangeway. STRANGEWAY, Thomas W. 1864 1929 D-C-166 Double stone with Henriettah Strangeway. IOOF Flag holder. STRATTON, C. J. C10-112 Co. H. 34th N.Y. Inf. Civil War Wtone. Offset between rows 9 & 10. STRATTON, Calvin J. 1837 1886 C09-108 Double stone with Lydia I. Stratton. STRATTON, Lydia I. 1838 1913 C09-109 Double stone with Calvin J. Stratton. STRONG, Elisha Norton 1873 1950 E04-056 Norton is her married name. STURDEVANT, F. F. C10-004 Co. I 2nd PA CAV. No dates. No doubt Civil War monument. STURTEVANT, Callie E. 1851 1936 E04-132 Single stone with only Callie E. & dates on it, but in the Sturtevant lot. STURTEVANT, Father E04-138 Single stone with only father on it, no dates, but in the Sturtevant lot. STURTEVANT, Luman P., Dr. 1846 1920 E04-132 Single stone with only Dr. Luman and dates on it, but in the Sturtevant lot. STURTEVANT, Mother E04-137 Single stone with only Mother on it, no dates, but in the Sturtevant lot. SULLIVAN, Arthur J. C09-023 No dates given. Double stone with Margery Sullivan. SULLIVAN, Margery G. 1916 1971 C09-022 Double stone with Arthur J. Sullivan. SUMNER, Mary A. 1851 1929 B06-027 Double stone with William H. Sumner. SUMNER, William H. 1843 1908 B06-028 Double stone with Mary A. Sumner. There was an Wm. H. Sumner in the Conneaut News Herald Dec. 6, 1912, p. 3, who was in the War of the Rebellion. SWAIN, Lois Moulton 16, June 1785 19, May 1860 D11-124 Born London, N.H. Wife of Thomas Swain. Moulton may be her maiden name. SWAIN, Nancy Cushing 3, April 1812 17, Dec. 1886 C01-023 Cushing is her married name. Mother on front of stone. SWAIN, Thomas 10, March 1785 9, Aug. 1850 D11-125 Born in Saco, Maine. SWARTOUT, Judson J. 8, Feb. 1903 C11-103 Aged 51 yrs. Name spelled different than the other but in the same lot. SWARTOUT, Ida M. 6, Nov. 1873 C11-102 Aged 11 yrs. & 2 mo's. Dau. of L. & H. Swartwout. NOTE: Her father was in the Conneaut News Herald Nov. 30, 1912, p. 5, who was in the War of the Rebellion. His name was Locy Swartout. SWEANY PUFFER JERRILS C10-029 Family Monument for the tree families, Between rows 10 & 11. Near Swaney stones. SWEANY, G. W. C10-029 West side of monument. No dates given. Co. G. 5th Wisconsin Volunteers. SWEET, Harriet Hale 1869 1891 C08-056 Hale may be her maiden name. SYMONDS, Henry W. 1830 1894 B03-037 No other data. SYMONDS, Infant daughter 1857 B03-035 Only one date was given. Daughter of Henry & Sylvia. No surnames on the stone but next to Henry and Sylvia Symonds. SYMONDS, Iva J. 1865 1936 B03-038 No other data. SYMONDS, Sylvia H. 1836 1891 B03-036 No other data.